Destroy the Relics — or Preserve Them?! The player characters have recovered artifacts from the fallen titan Spiragos the Ambusher, but forces are at work that would see them stolen and used for evil ends. The titanshards must be destroyed, but first the means to do so must be found – and the heroes might learn that destroying the relics is not the only, nor the best option! 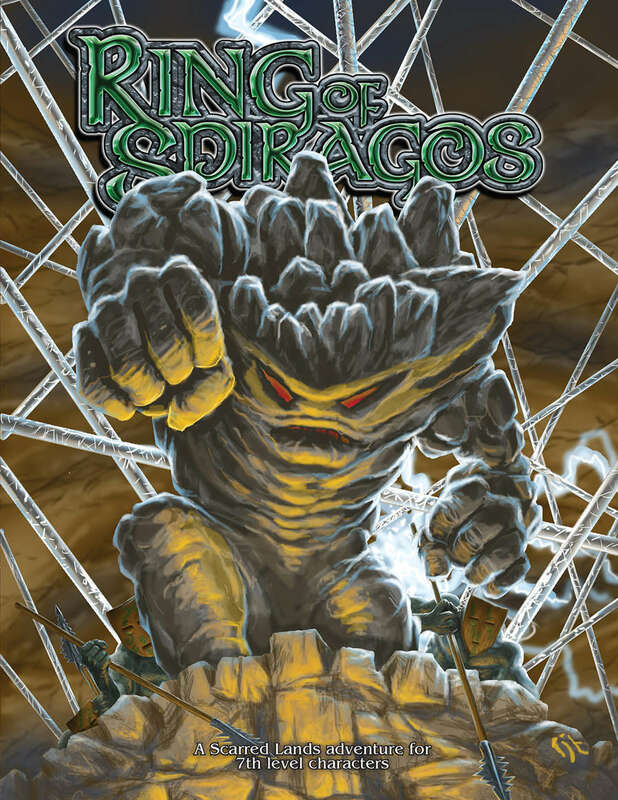 Ring of Spiragos is a sequel to the 2014 Gen Con Special Preview adventure Gauntlet of Spiragos (available for free) and the second installment in the series, Dagger of Spiragos. It is the action-packed third and final adventure in the Spiragos Saga. This title was added to our catalog on June 27, 2018.